Erica McGillivray is a senior-level marketer and communications manager with a focus in community and brand building. She engages, informs, and strategically guides brands and their audiences by leveraging her unique perspective from e-commerce retail, non-profits, and b2b. Erica brings her passion for diversity and inclusion to every program. Currently, Erica is the Director of Product Strategy and Community Experience at CMX. She leads their membership-driven Pro product, strategizing product development and community experience. She also produces their annual conference CMX Summit to educate professional community builders. She manages a team, aligns vision with CMX’s business goals, and leads these critical business units. Erica served as senior community manager at Moz, building the most beloved online marketing brand’s community to 600,000 members and over 2 million monthly visitors. 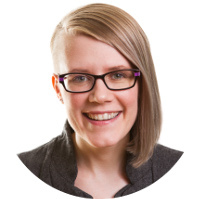 She honed Q&A forums, user generated content, social media, webinars, and events, including developing and growing one of the top rated online marketing conferences MozCon with 1,600 attendees. Erica is also co-founder of GeekGirlCon, a 501c3 nonprofit celebrating geeky women. She served as President for over two years, where she lead the forming of a brand, business, and community from scratch. She launched their flagship conference with 1,200 attendees and doubled that the following year. Communication, storytelling, and writing are Erica’s lifelong passions. 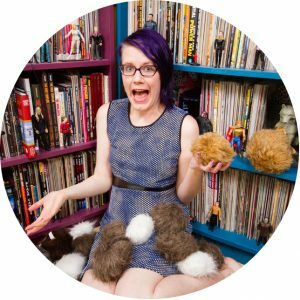 She’s contributed to Higher Logic, Moz, Salesforce Canada and UK, and Uncanny Magazine, and is a published author in the Hugo-nominated books, Chicks Dig Comics and Chicks Unravel Time. Erica’s spoken around the globe at conferences like MarketingProf’s B2B Forum, BrightonSEO, Content Marketing Conference, Digital Analytics Association, Rose City Comic Con, and more. Her comic book collection’s an earthquake hazard. Feel Like Letting Your Geek Flag Fly?